The unit is housed in an aluminum alloy casing. It is programmable for Thermocouple type K, J, R, S, T, N, E, B and RTD PT100Ω by just using a PC. It comes with a digital LCD Display and its output is linearized 4~20mA and offers accuracy of PT100Ω and 0~50mV +/-0.15% full scale and thermocouple +/-0.25% full scale. The ambient temperature for the device is in the range of -20ºC to +85ºC while the power Supply is in the range of 12 to 35VDC. 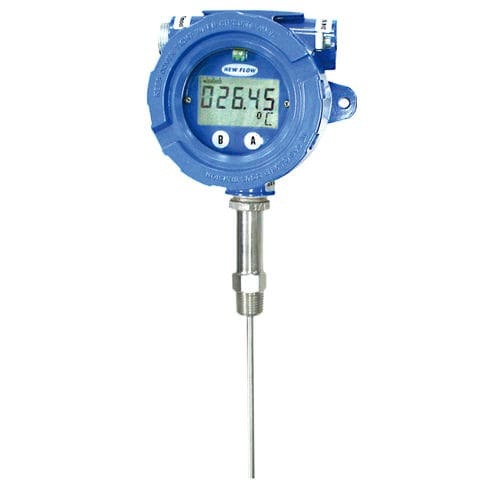 It offers sensor failure protection and its burnout can be programmed upscale or downscale. Its sensor connection is available in ½" and ¾" size.